Potassium KNO3 saltpeter (potassium nitrate, potassium nitrate). 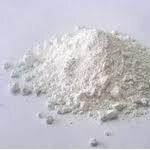 Potassium saltpeter represents colourless to white crystal powder, sometimes with yellowish-grayish shade. Received wide use in agriculture and other industries: in metallurgy it is applied to tempering of metals - is part of some pyrotechnic compositions and gunpowder - for clarification and decolorization of crystal glasses, and also for hardening of products from glasses it is used in the glass industry - - for production of thermosalts, enamels, heat carriers - is the valuable ballastless fertilizer containing two nutritious elements — - nitrogen and potassium. Potassium saltpeter is well dissolved in water. Pack potassium saltpeter into polypropylene bags with polyethylene inserts. 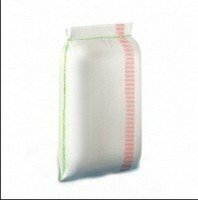 Net weight of product is 50±-1 kg. It is necessary to transport kalivoy saltpeter the covered motor transport with observance of all rules of transportation of goods, on the transported transport. It is impossible to carry out loading, unloading, transportation and storage of saltpeter together with combustible substances, potassium cyanide, mineral acids, rhodanates. Also mixing with straw, wood sawdust, peat, coal and other organic substances is not allowed to avoid self-ignition, explosion and the fire. The warranty period of storage — - is not limited. Unbelievable price on Nitrate potassium, potassium nitrate in Kharkov (Ukraine) company Harkovtorgservis, OOO.